This is the iCyte service that I mentioned in class. Here is a project that I have created using iCyte. Peter Black, who co-taught this subject last year, has this blog. http://freedomtodiffer.com/ He has become a famous Twit. Brisbane Magistrate Noel Nunan this morning varied bail conditions for Philip Heggie, 18, so he could use the internet to continue his university studies. Heggie, a University of Queensland business student, made a brief appearance in the Brisbane Magistrate's Court to answer charges of fraud, attempted fraud and uttering a forged document. Given the level of sophistication required to perpetrate these alleged activities, has the Court (in its most recent decision concerning bail conditions) paid sufficient heed to the possibility of the accused undertaking similar acts? How meaningful are either of the different sets of bail conditions prescribed by the court, given that cyber crimes can be undertaken anonymously? What is the purpose of these websites? Have a look at the two Google search interfaces on this page (http://www.cyberspac.com/Cyber_Law_and_Policy/Search.html) and do the same searches on both and compare the results. Welcome to LWN117 Cyber Law and Policy in Semester 1, 2010 at QUT. This unit is offered in internal mode, commencing Monday 22 February 2010 at 6pm. Google moved quickly to contain a firestorm of criticism over Buzz, its new social network, taking the unusual step of announcing changes to the product over the weekend to address privacy problems. 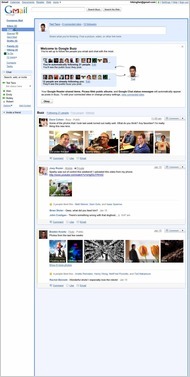 Google's decision to use e-mail and chat as the basis of a social network was unfair and deceptive, some critics claimed. On issues like privacy, copyright protection and the dominance of its search engine, Google is increasingly clashing with lawmakers and regulators.